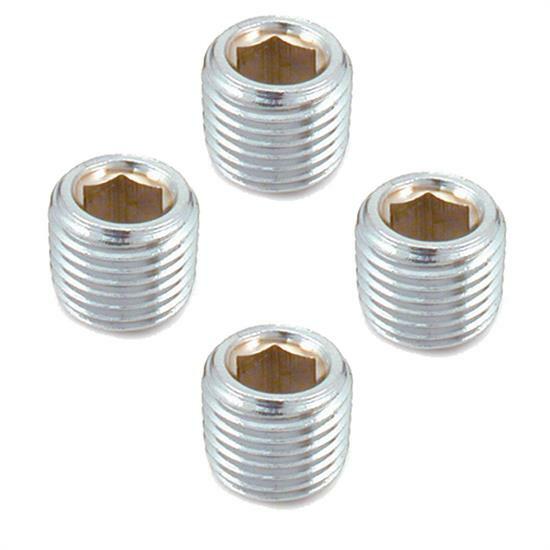 Spectre’s Pipe Plugs offer a reliable and show quality method to plug threaded holes. Made from high quality materials with a triple chrome-plated finish, these plugs are engineered for optimum fit and function. Designed to fit 1/4 inch pipe thread,these plugs feature a hex wrench compatible connection to ensure easy installation.